As part of the centennial celebration of Kafka’s groundbreaking masterpiece, Rebecca Wright directs Steven Berkoff’s timeless stage adaptation. In Kafka’s THE METAMORPHOSIS, successful traveling salesman Gregor Samsa mysteriously transforms overnight into a gigantic insect-like creature. Can Gregor sustain his life, his family and his job despite his inexplicable metamorphosis? Gregor’s parents and sister, who have been living off of Gregor’s success, must transform their lives in order to survive. How long will their love for Gregor remain unconditional once they are unable to communicate with him, repulsed by him and are fearful of his presence? Quintessence welcomes its first guest director: Rebecca Wright, founding Artistic Director of Philadelphia’s Applied Mechanics. Wright will explore how all bodies transform, juxtaposing the mundane and the grotesque, and exploring Kafka’s surmise that any home can become a cage, any failure in communication can become a nightmare, and any regret can become a monster. Berkoff’s hyper-physical adaptation focuses Kafka’s existential questions on the actor’s body. In our contemporary moment, the body is a politicized battleground and defined by the functions we require of it. Wright will collaborate with Philadelphia’s Kristen Bailey as Gregor, using cross-gender casting to delve more deeply into questions of the transformative nature and performance expectations of the body. 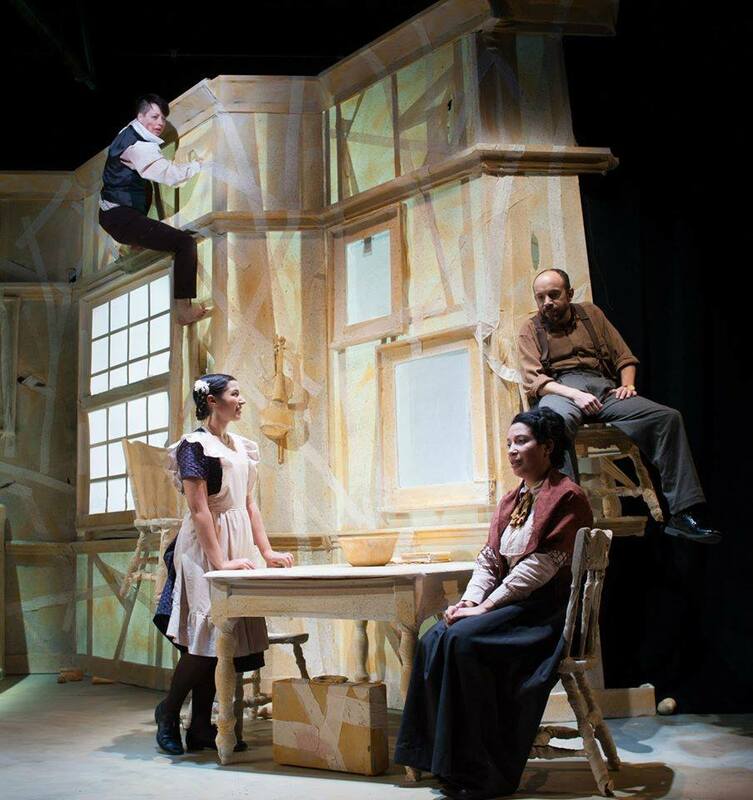 Joining the creative team are Colin McIlvaine (Set Designer), Katherine Fritz (Costume Designer), Maria Shaplin(Lighting Designer) and Adriano Shaplin (Sound Designer).